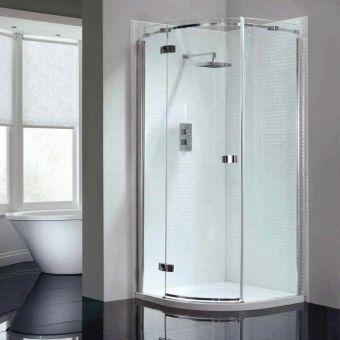 A breathtaking sweep of pure glass and minimal chrome fittings, the Matki Radiance Curved Corner Surround is a shower enclosure that is tailor-made for the high fashion, cosmopolitan living space. 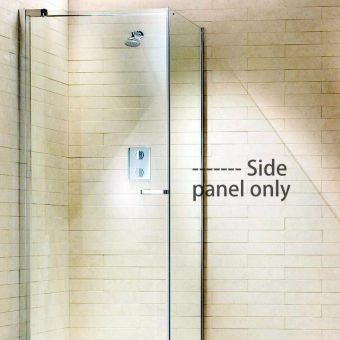 Created from toughened safety glass, the curved door comes with an auto-assisted mechanism that gently glides open. 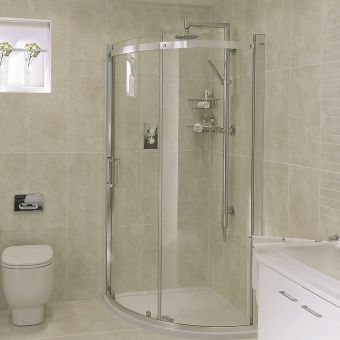 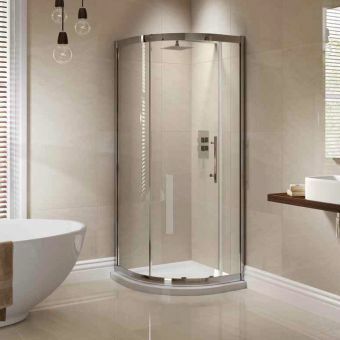 Supplied with a dedicated shower tray, this option provides the designer with the ability to transform the corner of any bathroom into an attractive and inviting shower space in which to relax. 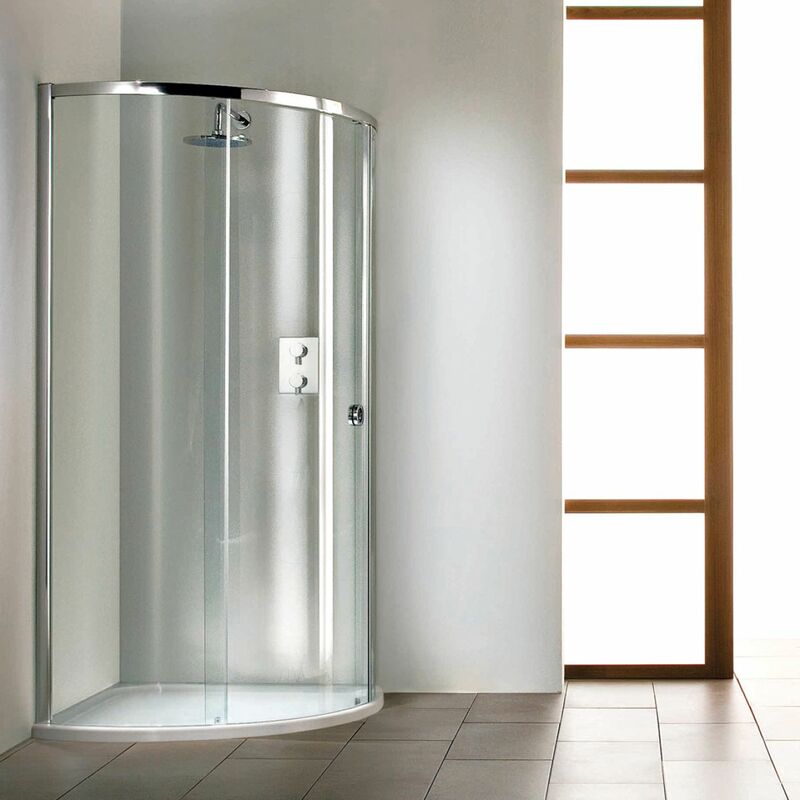 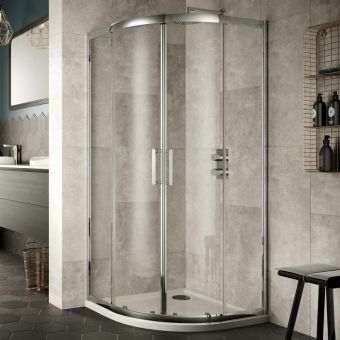 At just over two metres in height, this tall and impressive piece comes in both left and right-hand door openings are available to fit the specific layout of your bathroom. 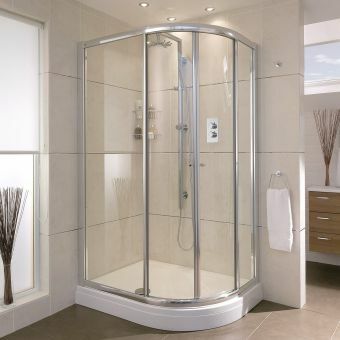 Available in a variety of sizes to fit, from 825mm to 1000mm in size.